The Official Jeep Beach Jewelry! 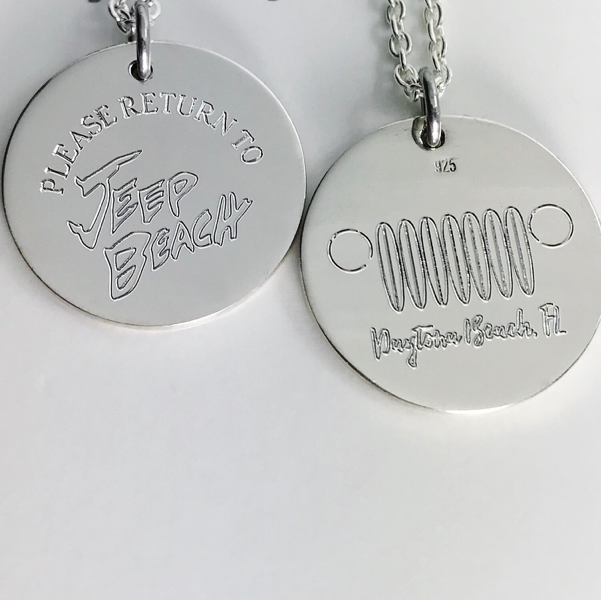 Please Return to Jeep Beach This necklace is sterling silver with a reversible pendant featuring the official Jeep Beach logo. The pendant (also .925 sterling silver) measures just under 1” diameter. * A portion of the proceeds of this necklace is donated to Jeep Beach charities. chain length 16in. 18in. 20in.